Tuesday, March 5, 4:30 p.m. Almost 150 years ago, Oliver Wendell Holmes Jr. probed what it means to have ambitions and aspirations to accomplishment and satisfaction in the law—whether studying, practicing, teaching, or deciding it. All of these roles have changed, and yet his questions resonate today: "How can the laborious study of a dry and technical system, the greedy watch for clients and practice of shopkeepers' arts, the mannerless conflicts over often sordid interests, make out a life?" Can our ambition—which got us all where we are—lead us to a good and satisfying life in the law? This lecture will take up this question by looking first at the roles of ambition and aspiration in judging. With some recent examples, the ambitious judge will be compared to the aspirational judge—with results both comforting and troubling. On this basis, the lecture will then turn to the work of law students, law professors, and lawyers, to ask how, in 2019, ambition and aspiration can help make out a life in the law. Lee H. Rosenthal is the chief judge of the U.S. District Court for the Southern District of Texas, based in Houston, the nation's fourth-largest city. She is a national figure in the judiciary, having served as chair of the Judicial Conference Committee on Rules of Practice and Procedure, to which Chief Justice John Roberts appointed her, and chair of the Advisory Committee on the Federal Rules of Civil Procedure, by appointment of Chief Justice William H. Rehnquist. 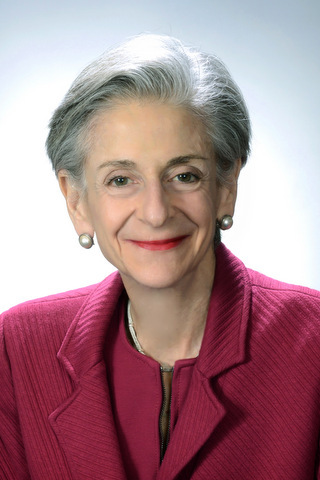 Rosenthal received her undergraduate and law degrees from the University of Chicago, began her career as a law clerk to Chief Judge John R. Brown of the Fifth Circuit, and practiced law in Houston before her appointment to the federal bench in 1992. She is an elected member of the American Law Institute and the American Academy of Arts and Sciences.